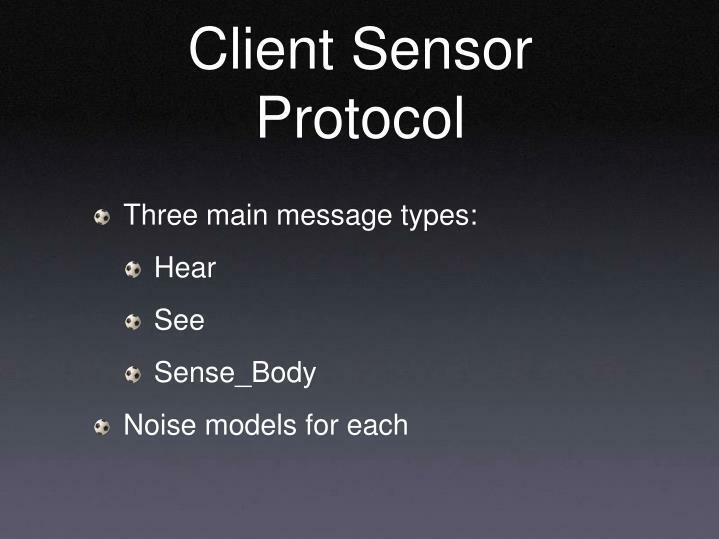 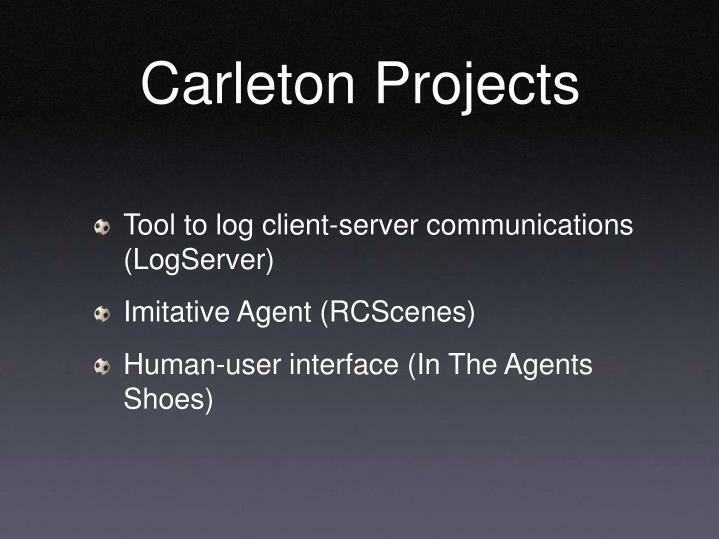 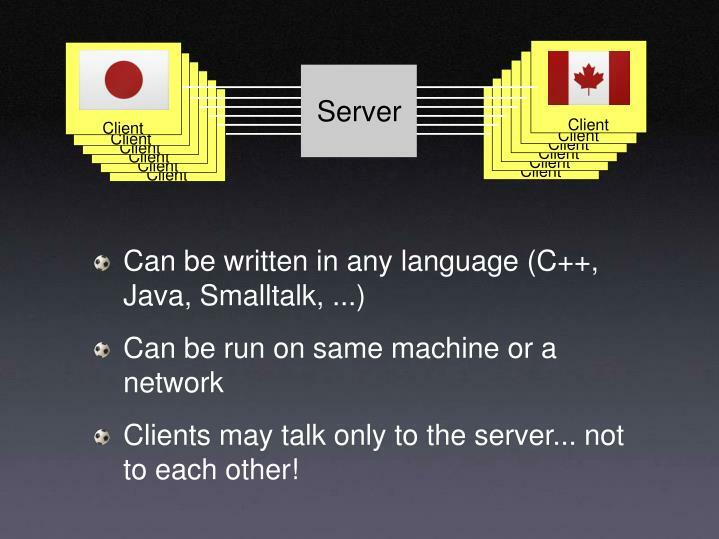 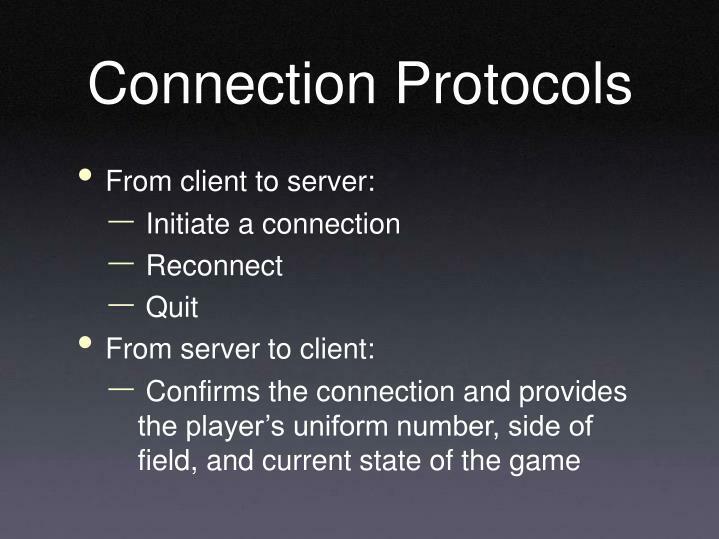 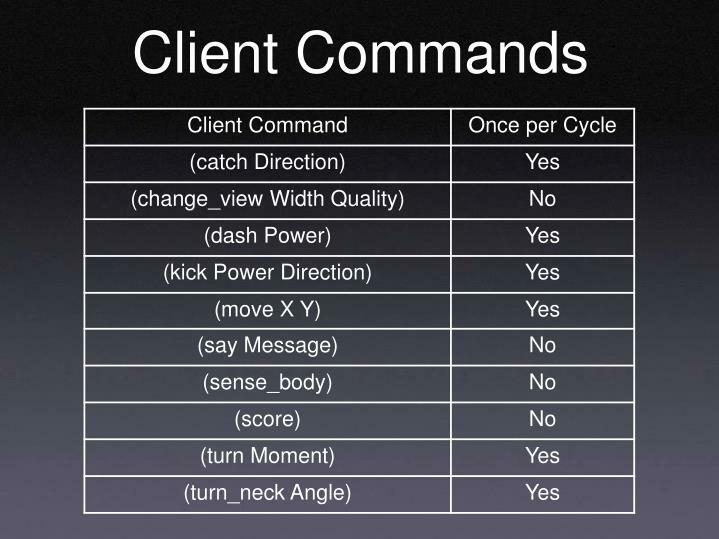 Clients may talk only to the server... not to each other! 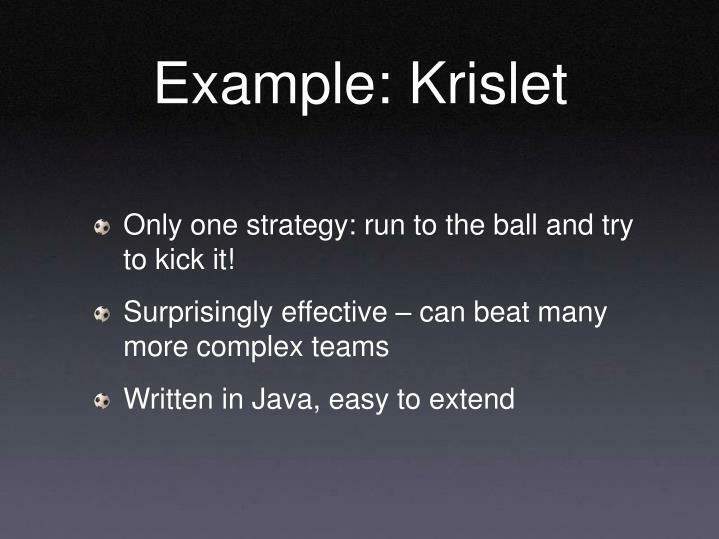 Only one strategy: run to the ball and try to kick it! 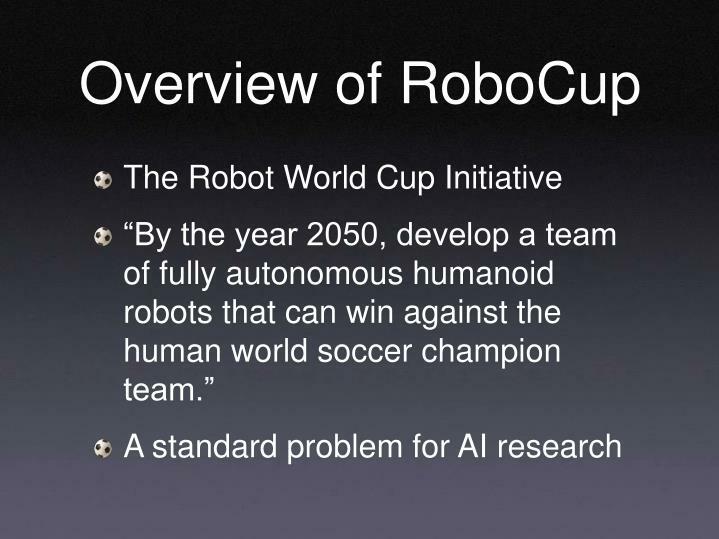 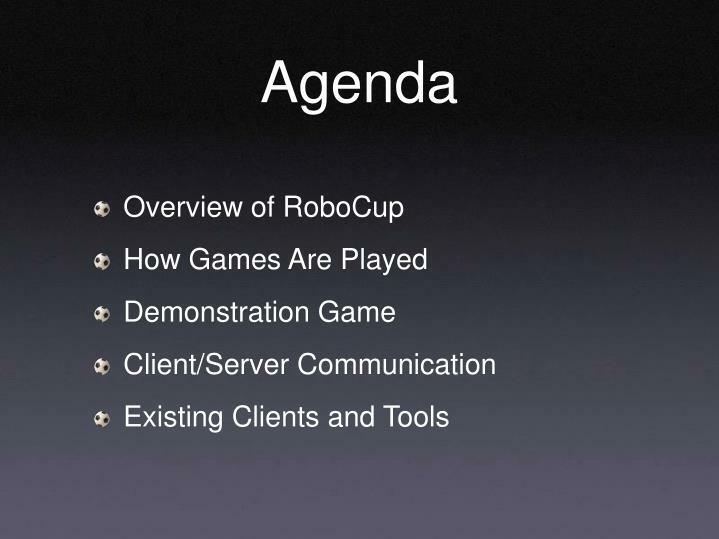 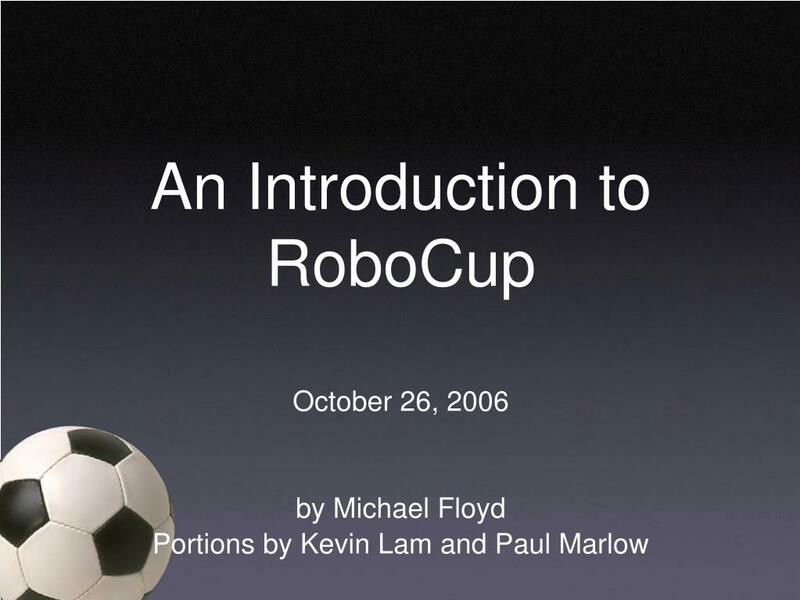 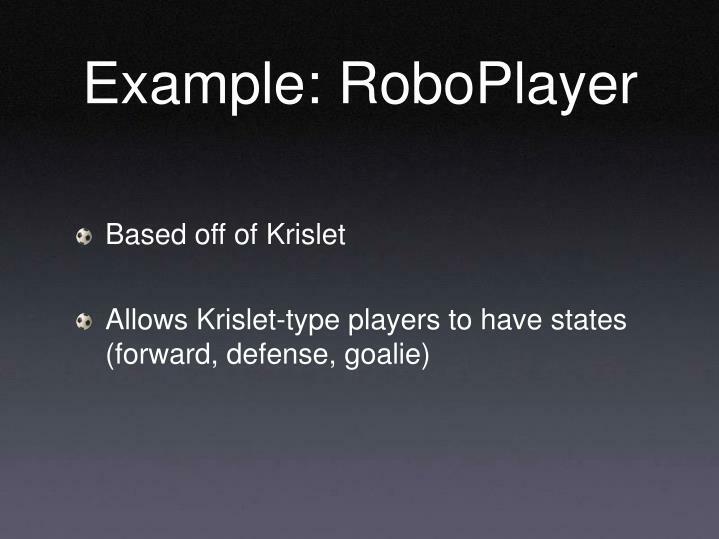 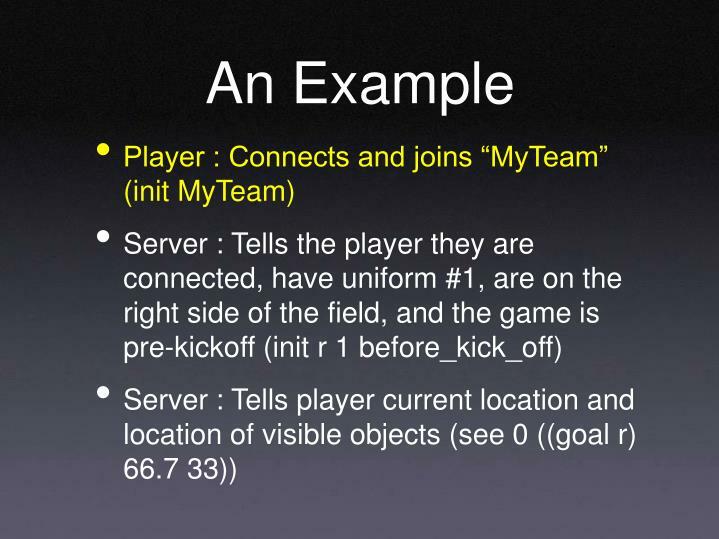 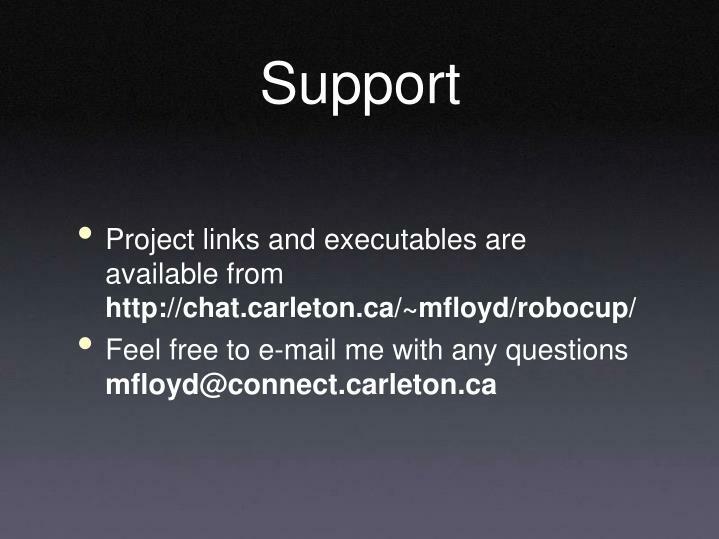 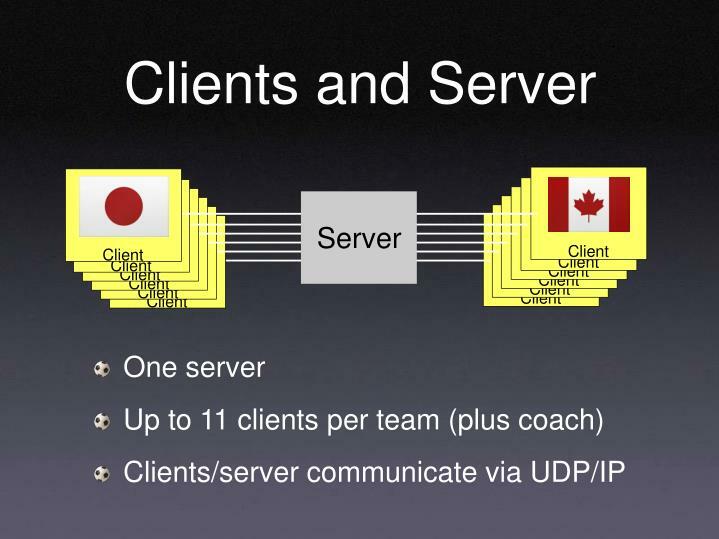 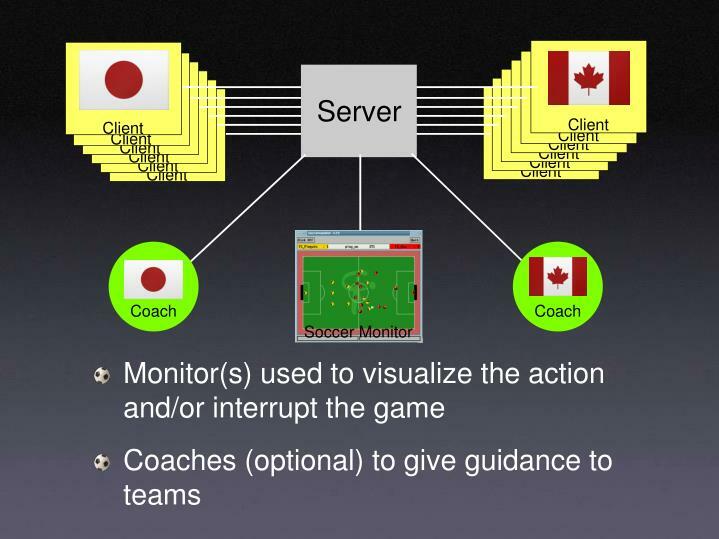 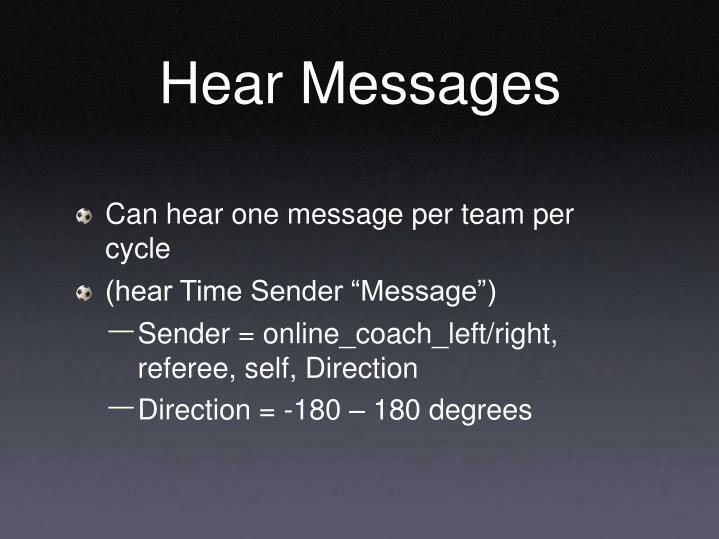 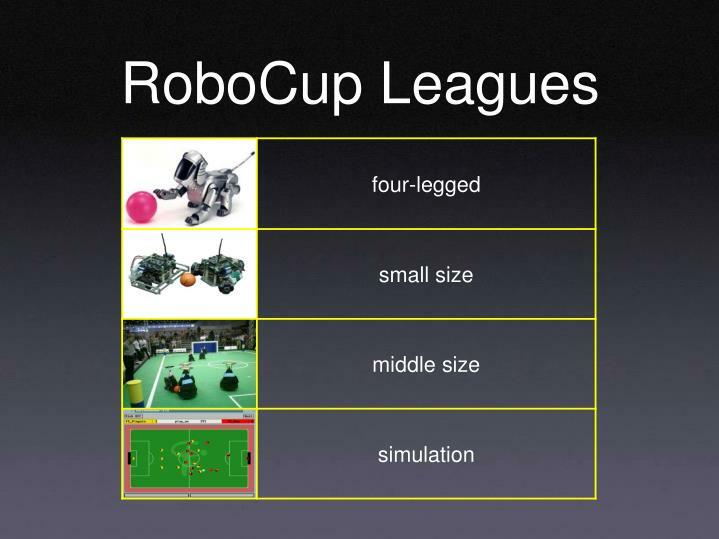 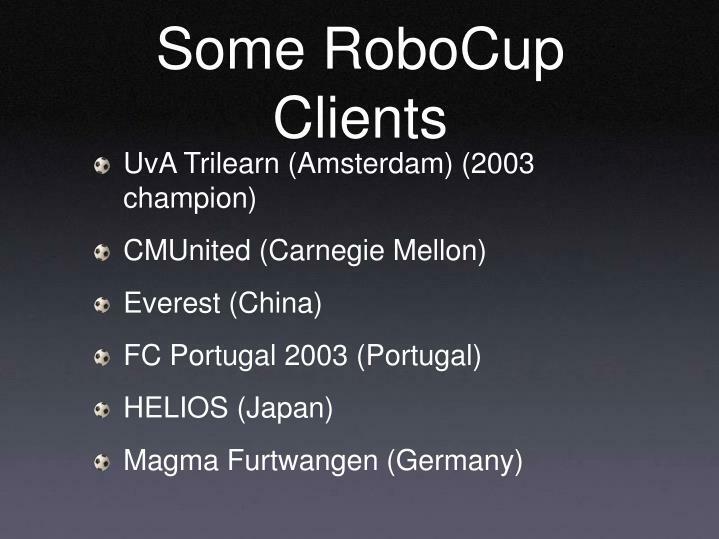 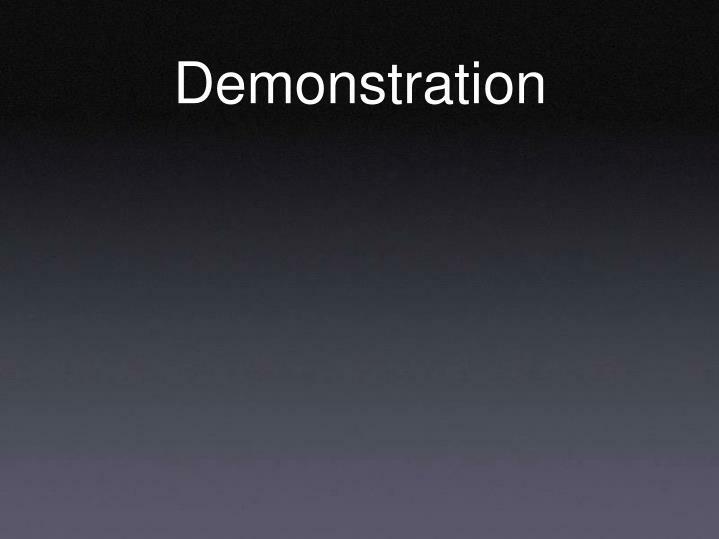 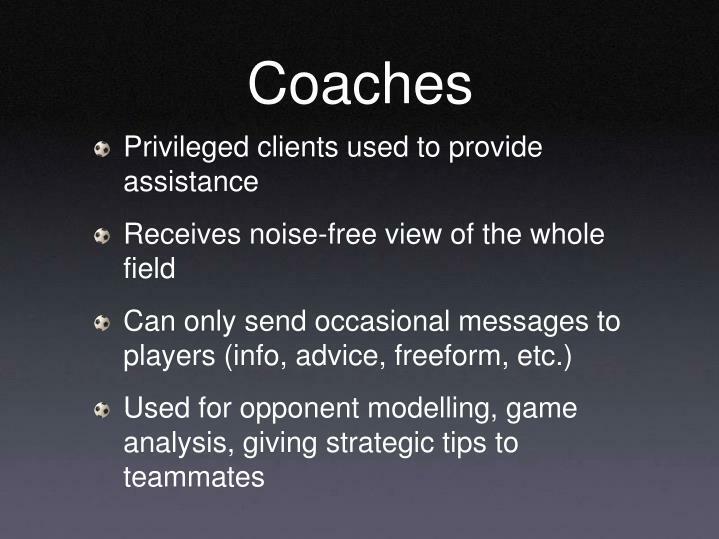 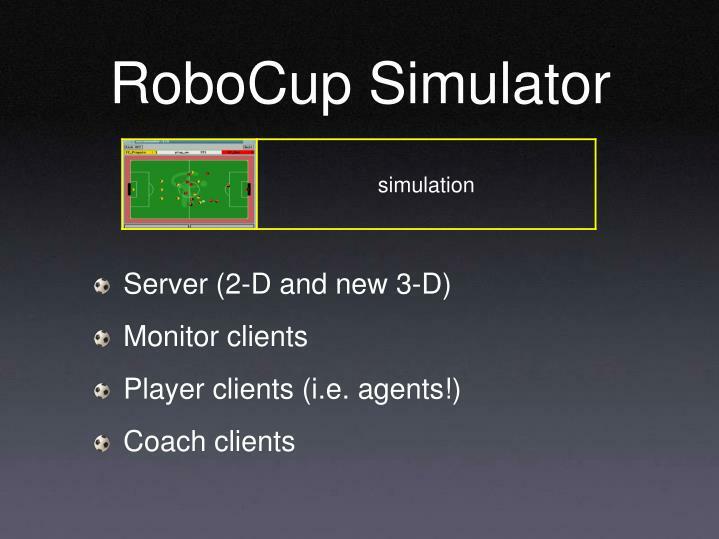 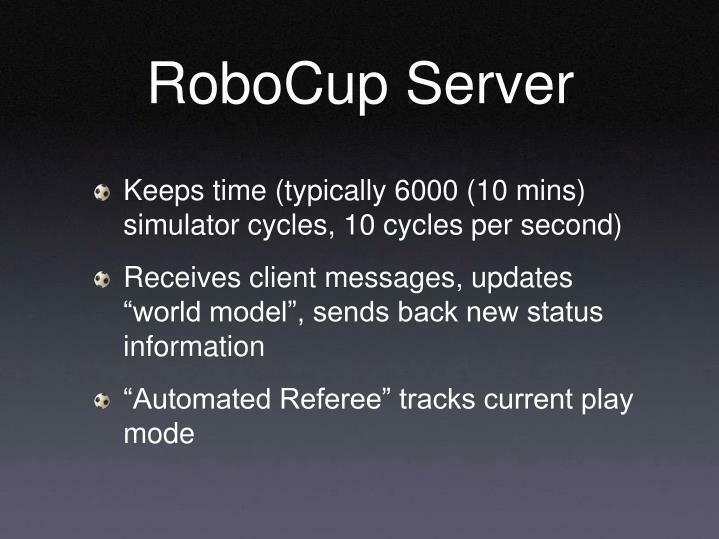 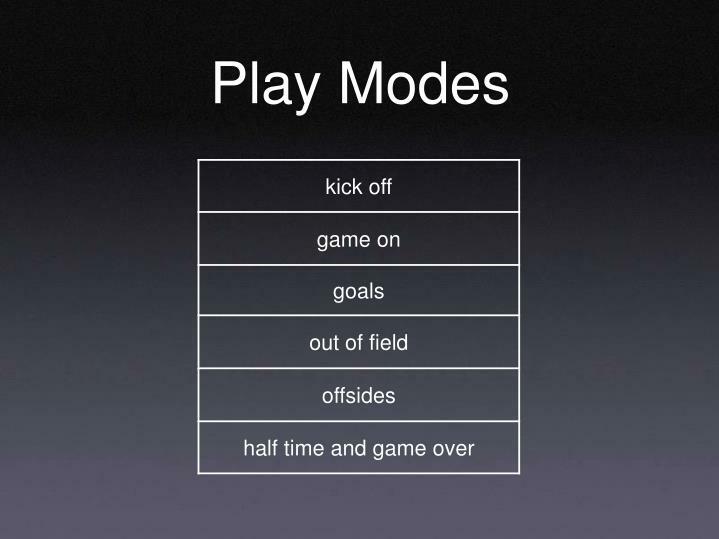 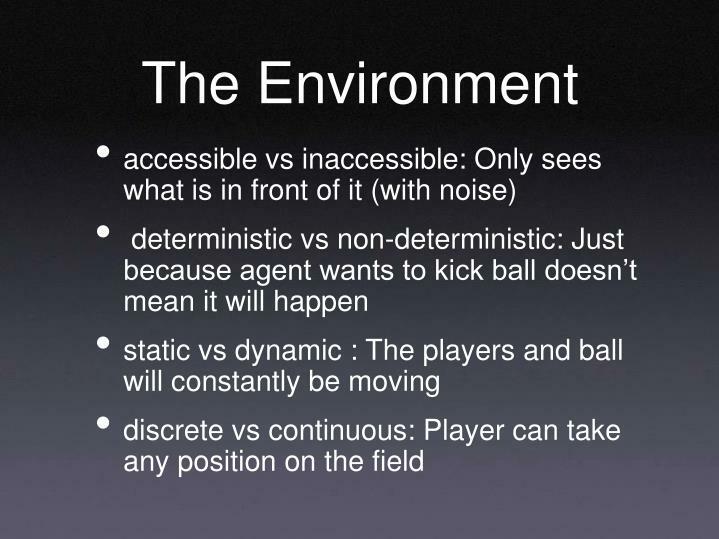 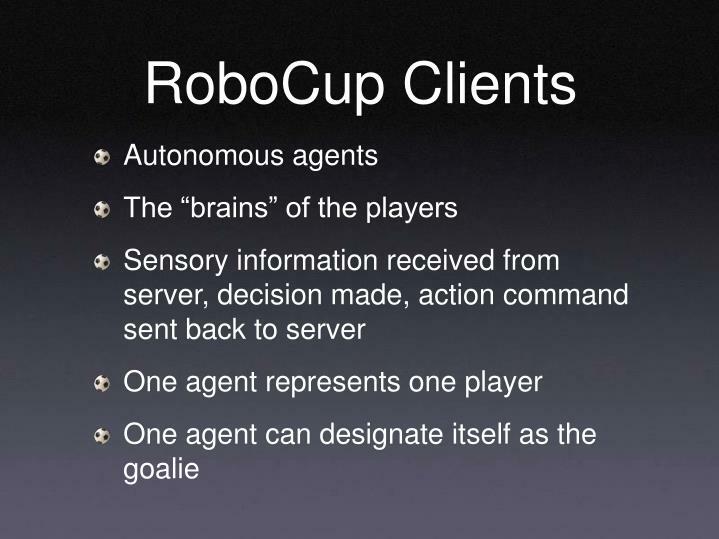 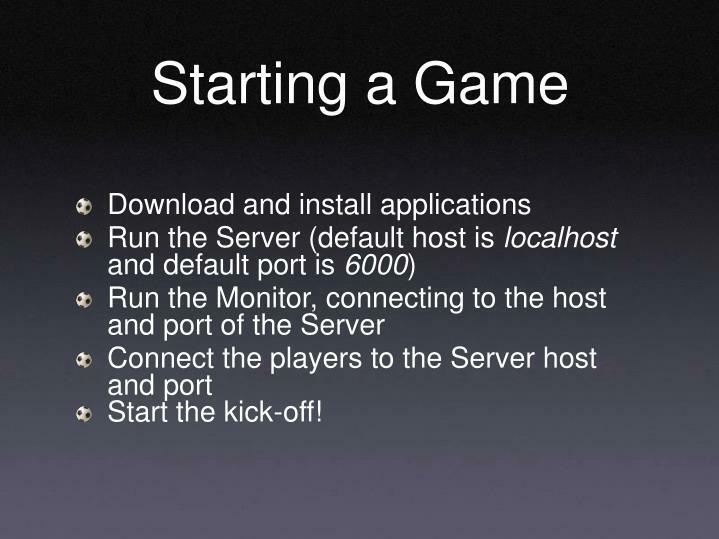 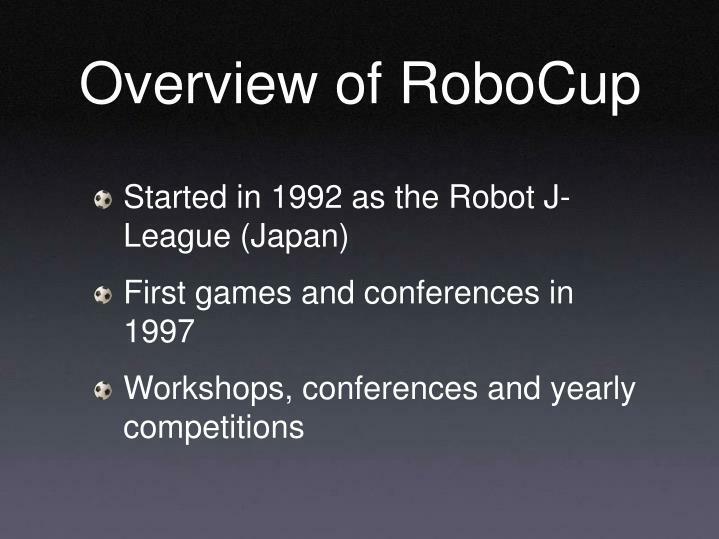 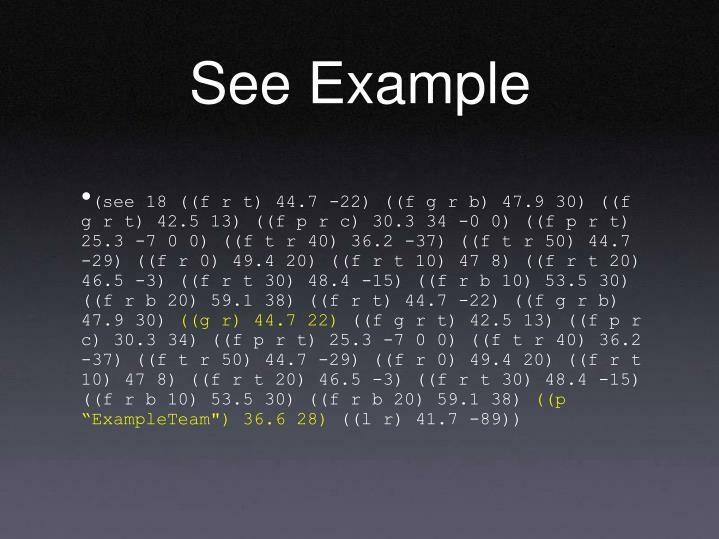 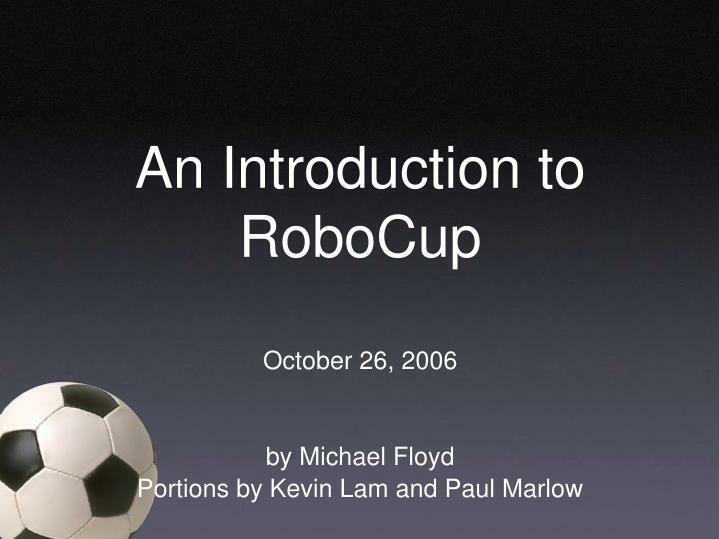 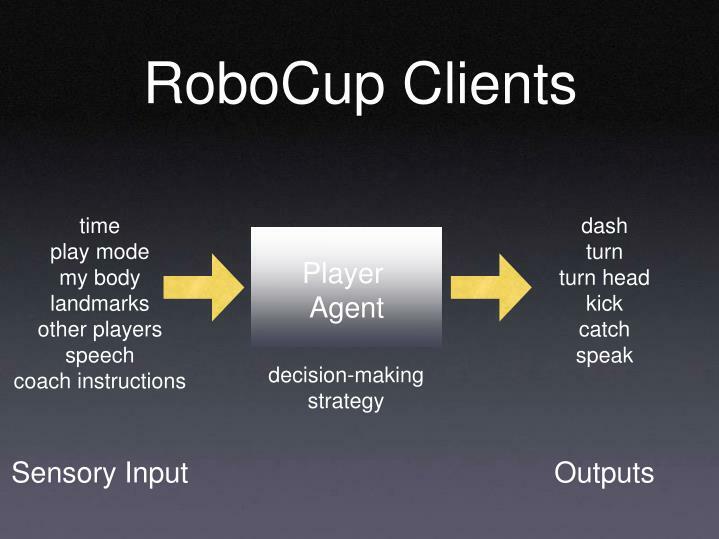 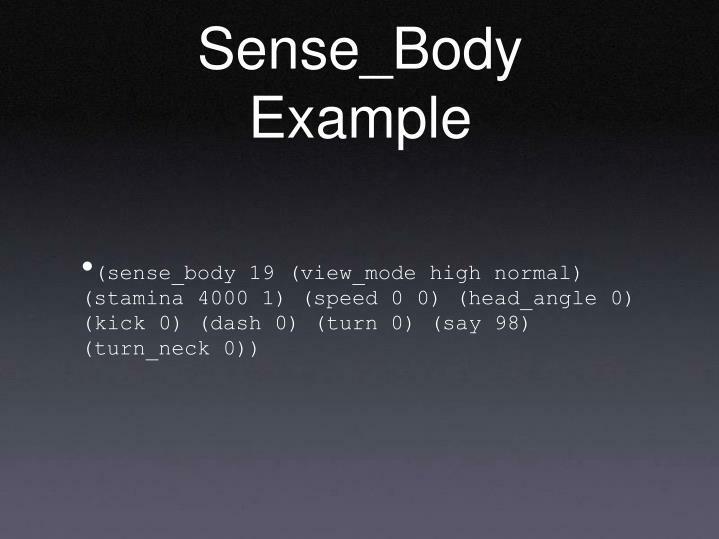 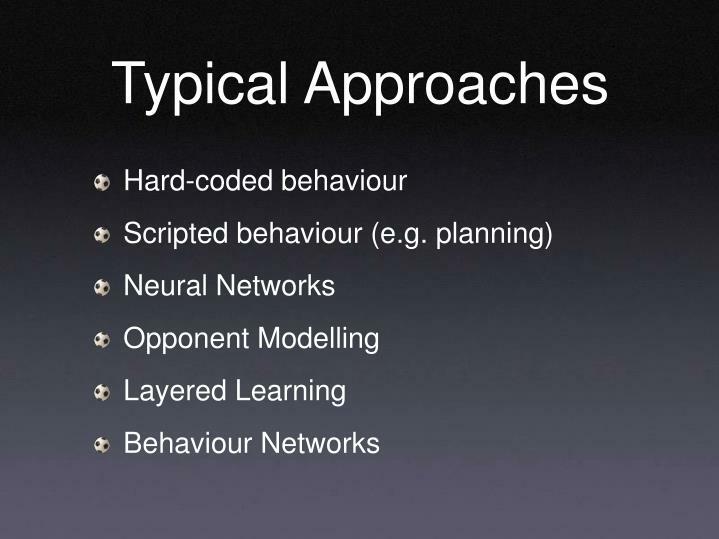 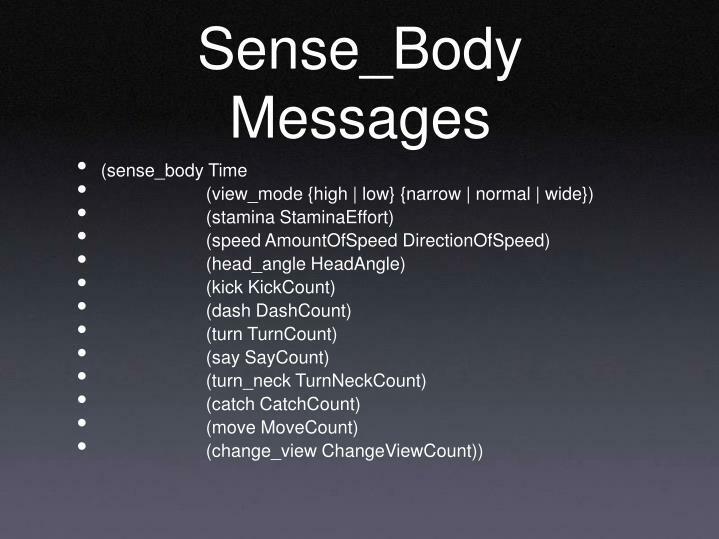 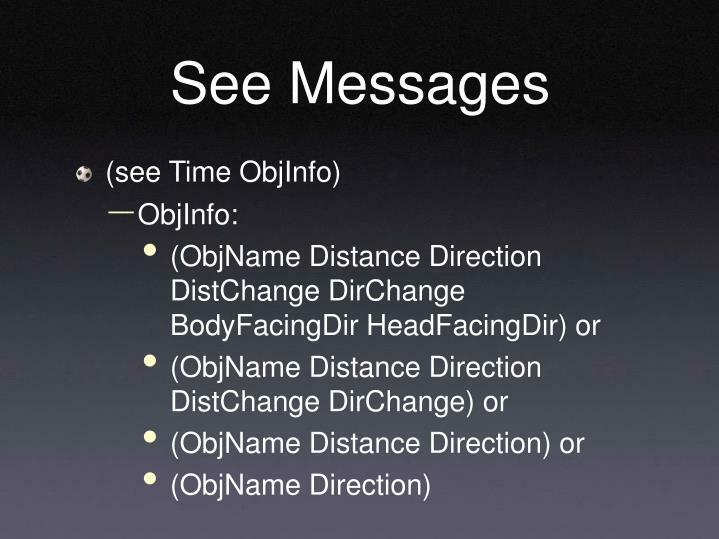 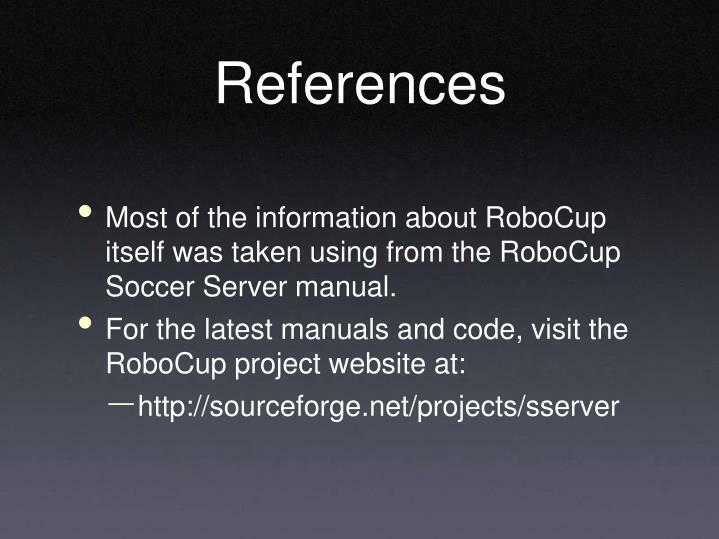 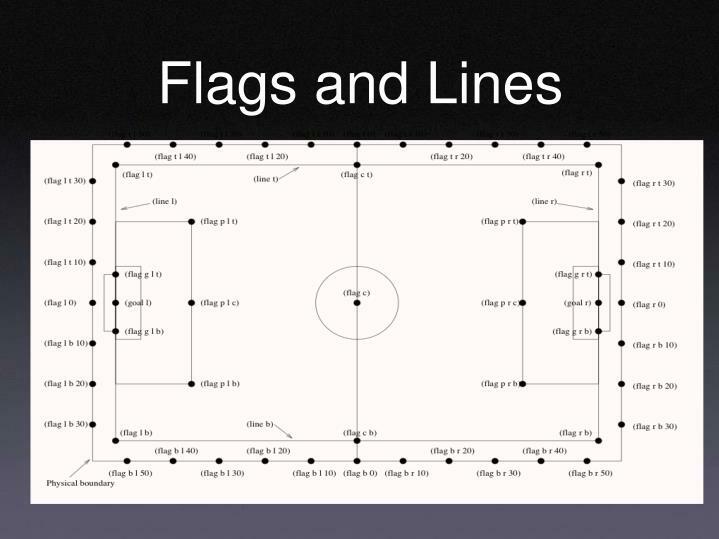 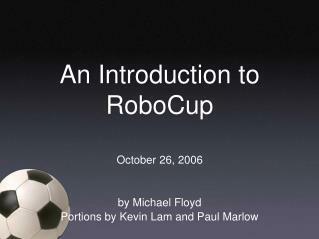 Most of the information about RoboCup itself was taken using from the RoboCup Soccer Server manual.